. :.What can your food do for you?
. :8 Reasons why your daily coffee doesn’t have to be a secret shame! I find with the industry I work in (health food store) and where I go to uni to study Naturopathy, I sometimes find myself not mentioning my love of coffee to some people who feel that coffee is “bad” for you. Yes it can be stimulating but I try and stick to one a day and I find that is a good amount. According to american data, the antioxidants provided by coffee are the number one contributors of antioxidants in the american diet. However, they are under-consuming fruits and vegetables and even though coffee is not a good substitute for nutrient dense produce, it goes to show that it is a valuable part of a lot of peoples diets and can provide some nutritional benefit. A UK meta-analysis showed that consuming between 1-3 cups of coffee a day was associated with a reduced risk of stroke to the general population. It further went on to show that people with established heart disease can still enjoy one small cup a day as their has been minimal evidence to prove otherwise. Research has shown for a while now that consuming 4 or more cups of coffee per day (not something I would recommend) helps to increase insulin sensitivity and therefore improving glucose metabolism and blood sugar regulation. The effect is even more pronounced for males than females. This of course does not mean your sugar laden crap-accinos with cream and flavoured syrups, it refers to black coffee. 4. Drink up for digestive health! Coffee not only helps improve stomach secretions for better digestion of food, it also improves distal bowel motility (ability to move food through the bowel faster) and therefore helps increase the frequency of bowel motions. Some people even report a desire “to go to the toilet” within as little as 4 minutes from drinking their coffee. This does not work for constipated individuals though or for excessive coffee consumption as it is also a known diuretic and can remove water from the stool through the intestinal wall. 5. Proof read that assignment or report more effectively! According to The Journal of Experimental Psychology, the caffeine in coffee can help you spot grammatical errors much easier! Great news for students and people at work! Save your daily cup of coffee for the workplace or uni and you will be ready to work. 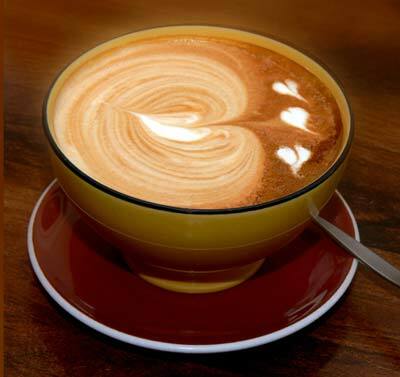 Coffee helps to modulate the release of neurotransmitters responsible for your mood. This has shown to lower the risk of depression in women who drink a few cups a day as opposed to those who do not consume any. In The Journal of Alzheimer’s Disease, a study was published which examined 26 studies and showed that 2-3 cups of coffee helped to lower the risk of developing parkinsons disease. The results were coffee specific as well, meaning that it was not just the caffeine in the coffee that had the potential benefits! 8. Coffee revs up your metabolism! ..and you know what this means?? More energy consumption throughout the day! Good news for people trying to lose weight, the caffeine in coffee has been found to be a great fat burner and thermogenic agent. Whether it is a shot of coffee half an hour before the gym or drinking a latte in the morning to kick-start a busy and active day, your metabolism will be increased and burning up those extra calories! « Coconut Flour & Hazelnut Cookies…yum! Coconut Flour & Hazelnut Cookies…yum!